Tax professionals are busy scrutinizing the Tax Cuts and Jobs Act (TCJA) and discussing many of the important changes with their clients. One significant but rarely discussed provision of the new bill is the revamp of the kiddie tax rules. Kiddie tax applies to the special rules on net unearned income of children under the age of 19 (full-time students under 24). Currently, the kiddie tax calculation is a multifaceted undertaking that involves adding the net unearned income of the child to the parent’s income and that of any siblings. The parent’s tax rate is determined based on this calculation and then applied to the child’s net unearned income. 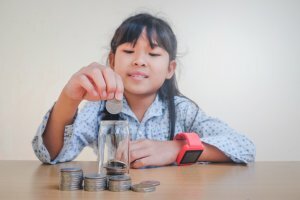 TCJA has a provision for the “simplification” of tax on unearned income of children by effectively applying ordinary and capital rates applicable to trusts and estates. Simplification? Yes. Better? Umm, that depends. The tax brackets for trusts and estates are the absolute worst. The top tax bracket of 37% begins at just $12,500 of taxable income. Under the new tax brackets, the parent’s taxable income would have to be over $600,000 (married filing jointly) to reach the highest rate. For high-income individuals, this change will have little or no impact since they would be subject to the highest tax rate anyways. For those who may find themselves in a lower tax bracket, this provision may change their tax planning strategy for the distribution of wealth to their children. The positive aspect of this provision is that trusts and estates have four tax brackets that range from 10% to 37%. The child’s net unearned income will be tax at graduated rates instead of at the parent’s marginal rate. The first $2,550 will be taxed at only 10% with the next $6,600 being taxed at 24% and so on until reaching $12,500 at the highest rate. A child would have to have substantial investments to have net unearned income significant enough to reach the highest tax rate. It’s more likely that a child subject to the kiddie tax would find themselves in the lower portion of the trust and estate tax brackets. Taxpayers should consult their tax professionals to see where they find themselves on this issue.